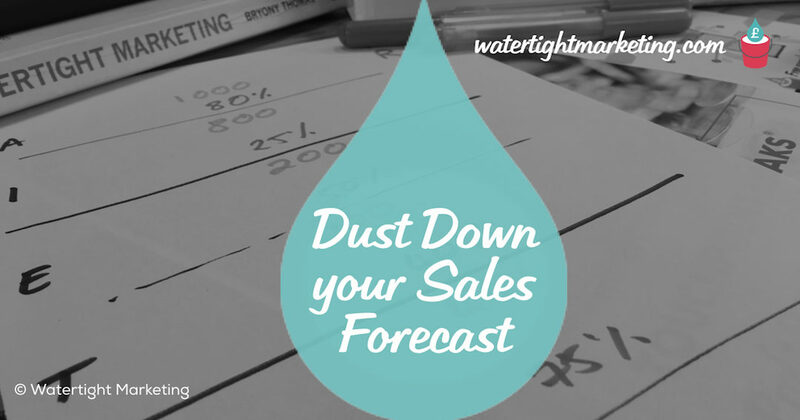 Is it time to dust off your Sales Forecast? Is your sales forecast a living tool that drives confident decisions? Building out a sales forecast is a key foundation in informing confident decisions about your business, not least your marketing activity. So often, this is an annual, and largely academic, exercise. Embracing your sales forecast as a living tool for your business is essential for long-term growth. 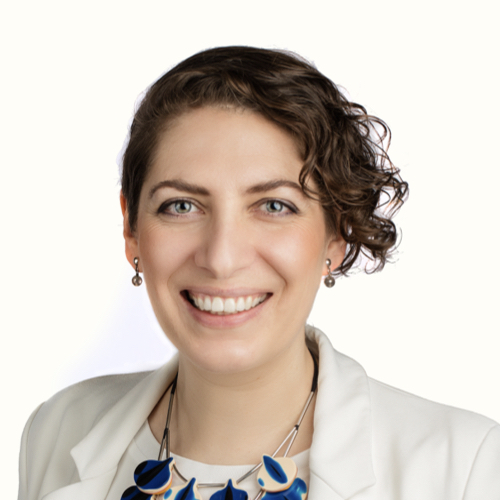 In this article, Bryony Thomas details four key practical ways to put your forecast to work. I really hope I’m not unusual, as a marketer, to use a sales forecast as a key starting point for a strategic discussion with a business that wants to grow. Seeing a causal correlation between marketing activity and sales results is what we’re all about here at Watertight Marketing. Unfortunately, I’m pretty sure that I’m not alone in seeing clients dust off a very infrequently visited file when I do ask to see a forecast. Or, for whom the forecast is little more than an annual, and pretty academic, exercise. So let’s walk through four key ways that your forecast could be actively informing your decisions and actions throughout your business year. Does your business have the capacity to deliver these sales? Does the market (and seasonal trends) have the appetite to buy at the volumes you’ve predicted? Does the market have the appetite to buy at the prices you’ve predicted? And, having answered these, will your business be sustainable at these levels? People working through our Masterplan programme are all asked to put together a sales forecast for their current, and following, financial years. On more than one occasion what’s been put together doesn’t pass the first test. In time-for-money businesses this is often because there aren’t actually enough days in the year to sell, and there are limited ways to make money beyond selling time. In other cases, we’ve seen predictions that see the business 10x in a year… yes, some exceptional businesses do manage this. But, exceptions are, by their very nature, rare things indeed. At your given review points, you need to report on ‘Variance’ – this is, how far over or under forecast were you actually. This should trigger a set of pre-prepared actions that kick-in at certain levels under or over your forecast. This means that you’re never hitting the panic buttons, because you know what actions to take in given circumstances. Reducing stock holdings, recruitment or reducing overtime, etc. One of the key things to build into your forecast is the rhythm of your business. That is, what ebbs and flows are part and parcel of the market you operate in? Do you sell loads at Christmas, nothing in January, etc? You can do this by looking back at sales from the past to see where patterns may emerge, as well as applying common sense. If you don’t have historic data, this is something you’ll need to build in to your review points. keeping a record of what you thought you’d sell, and what you actually did, over time is really useful. We’ve seen plenty of people look at a January lull forlornly… but when you ask them how last January was, they’ll say “yeah, pretty awful” – this is great news. Not that it was awful, but that there’s pattern. When you can predict, you can plan. In this scenario, you could plan some sort of promotion to give sales a short term boost, or simply accept it as a time when your business can reflect and plan. If you’re looking to seriously scale your business, through investment, acquisition, and recruitment of great people… you’ll need to tell a great story. A story of commercial success, and (more importantly) financial acumen. Having a historical record of your forecast, your variance, and the actions you took at each stage is incredibly powerful. You don’t need to massage your numbers if you can show a track record of excellent (and informed) decision-making. Let’s say you were wildly under forecast, but you took steps to review market capacity, change your pricing and refocus your sales activity to bring the business back on track… now, that is much more compelling than a business for whom everything has always gone exactly to plan. There’s little less investable that someone who appears not to have been truly tested. So folks, if you’ve created yourself a sales forecast for the year ahead, please put dates in your diary right now for when in the year you are gong to actively use it to inform confident decisions.